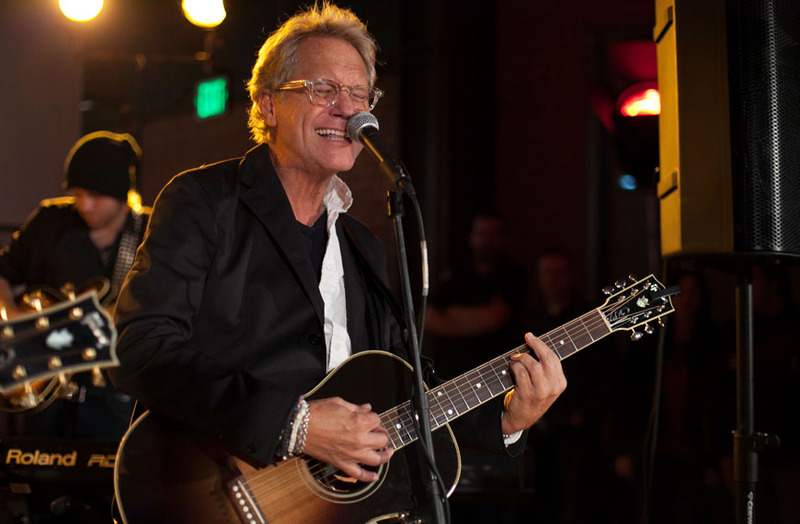 “We play all these venues,” says Gerry Beckley, who co-founded and has been with the legendary Grammy Award-winning rock group America for some 45 years now. “I’m backstage and I see head shots of who has played there too — we know virtually every one of them. Almost all of them show someone looking right at the camera and smiling. That, in two paragraphs, is how Beckley looks at the world and his place in it. By any conventional measure, he is a superb songwriter, a master of popular composition and a distinctive singer whether as the lead vocalist on “Sister Golden Hair” and “You Can Do Magic,” in harmony on “A Horse With No Name” and “Ventura Highway,” or singing on his group’s other classic singles or on solo projects. At the same time, there’s something in Beckley’s work that skews toward the edge– never at the expense of musical quality but perhaps to avoid being sucked into the maws of commercial conformity. Nothing exemplifies this better than his latest album–and first for Blue Élan Records–the shimmering Carousel, which is at once similar to and utterly unlike everything he’s written and recorded until now. Even so, each of his solo albums has a distinctive character. Beckley looks back fondly on his first release, Van Go Gan (1999), which had been inspired in part by the bare-bones simplicities of Neil Young’s Gold Rush and Paul McCartney’s eponymous solo debut. To an extent, that aesthetic also guides Carousel recorded at his Los Angeles studio, Human Nature–on which Beckley plays all the instruments except for a few moments when an euphonium, a saxophone or an oboe proved essential as a coloristic ingredient. As for the meaning of Carousel, Beckley leaves it up to listeners to reach their own conclusions. After all, aside from three intriguing covers, he wrote this music over a period of decades, in different places and stages of his experience. Still, it’s hard to imagine there wasn’t some rhyme and reason guiding him and ultimately his decision on which 12 songs he selected for this album. For example, to this writer, Carousel seems to tell a somewhat nostalgic if not regretful story. In his sensitive arrangements and artful interactions of melody and harmony, Beckley reflects a life that keeps him separated far too long from his love one (“Tokyo”), adds to that a sense of a relationship ebbing from his grasp (“Once a Distant Heart”), of fear of “running out of time” (“Lifeline”) and a premonition of personal decline as “I walk the line ‘till I fade from existence” (“Minutes Count”) and more, up to a resigned but not at all unpleasant acceptance of fate on the title track. But that’s just one person’s view. Yours may differ, which is exactly the reaction Beckley expects and enjoys from his music.